Writing is a terrible act of bare naked. How we lay our lives and mistakes and grappling after faith out here in public. Writing takes courage. And courage, I tell my boys, is what we do through our fear. We don’t write because we’re brave. We write because it reminds us that brave is sometimes the opposite of big or sure or bold. Brave is sometimes sharing the scared things. I will share my scared things here. I will admit to my doubts and my questions and my desperate clinging to the cross of a God who makes sense to me beyond big words or theologies. A God who reminds me I’m a kid and He loves me and won’t let me fall. As we cross traffic together. As cars grumble and groan and lorries roll down the road and I feel small and lost I will raise my tiny hand and tuck it into His. I will remember how little I know and that love rarely requires perfect answers, just a willingness to believe. He will hold me and I will sit on His lap as I type down my scared words even on the days I want to hide. I will be held. how brave you are to keep writing even when you want to hide…I can so relate…Thank you for how you model vulnerability here, Lisa-Jo…Appreciate you! I so often want to run and hide after I hit publish. I am so thankful that God has called me to lay my soul bare, with so many others, to bring honor and glory to His Name. Oh – I want to tuck my little hand in His big hand – and let him hold me – because this living, this parenting, the marrying – is beautiful but terrifying:) So glad I was brave enough to join in today! This is my second time joining and I kept to the 5 minutes this time! Thanks for hosting! I finally linked up today! 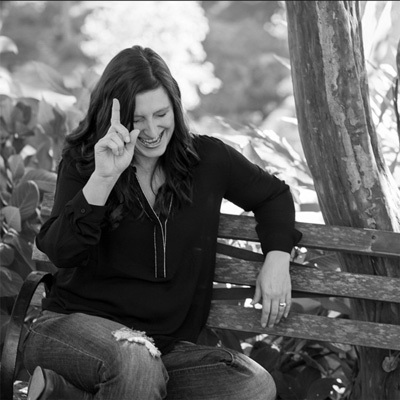 Thanks for being so you, LisaJo! So beautifully written, Lisa-Jo. Thank you for each and every word you share! Thank you Lisa-Jo for your writing and encouraging others to be vulnerable and bare and exposed. He holds us and His grace covers us when we do hide ~ Simply Amazing! Thank you Lisa-Jo for your words and for being brave and for encouraging others to be the same – to be vulnerable, bare, exposed. He hold us and His grace covers us when we hide ~ Simply Amazing!! I love to write. I don’t have a blog. But once in a while, sometimes more often then other times, sometimes less, I feel overwhelmed with a desire to put my thoughts into concrete words. And I write. And sometimes I like it. And sometimes I’m more than a little nervous to share it, but I almost always do. Because it does something for me. It makes me feel like I’m being my real, true self. I share with a select few friends. I am also part of a most amazing program that allows me to share who I am in words with people. People of different ages, ethnicities, social class. It has changed my life. Being me. Sharing my story. My experience. And allowing others to do the same. Coming to learn that we all have a gift to give when we share our honest selves. Our experience, our strengths, our hope. What a gift! Your words of courage have strengthened me today! Thank you for that! I see you and hear your voice so much in these words, especially “lorries”. Bravery is contagious and I thank you for spreading it. Simply beautiful! Were you eavesdropping on my prayers this morning? ;) I was asking God to clarify what on earth I am supposed to be writing about as I flounder around and He just used your post to say “This.” Thank you. And by the way, I love your courage to be bare. Loved it. I raise my hand and tuck my tiny hand into his. Wow. joining in for the first time; thanking God for His Gift. Last week was my first time joining you for Five Minute Friday, Lisa-Jo, and last night, I climbed out of bed at midnight, full of joy and trepidation just to see what today’s word would be. I went to sleep with it steeping in my mind, hoping I’d wake up this morning with a flame of inspiration. I was stunned to find that this word has cracked my heart into a million pieces today, and I gave up on joining the link party, since five minutes quickly turned into thirty, then sixty… but even so, I’m thankful today for your spark of light. I’d forgotten what it feels like to burn so brightly. That’s so special to hear, Erin. Thank you for sharing. This word this week, it chose me I think. Can I just say that FMF is changing my life? Thank you Lisa-Jo for hosting us! What an amazing outpouring of grace in my life each week. Even if it is on Saturday this time. Really beautiful, Lisa-Jo. It’s so true, how bare we are when we write, when we put ourselves out there and “bleed” as Hemingway says. I love this, and I love you, and I love that you are brave because your writing is beautiful and inspiring. LisaJo, thank you so much for your five minute fridays. It is a wonderful opportunity for me to think about things a little differently than I have before. I love sharing with you, writing with you and reading the other women who pour out their hearts with you each week. Thank you for all the work you do to help make us realize that God is with us in everything. Thanks for this gathering place and for your post and mention of the challenge of “grappling after faith.” Doing so in public is a very naked feeling. I finally got the courage to take the plunge & do this–& wouldn’t you know it, the topic was one that really made me feel “bare”! I commented on the post before mine, but when I hit “submit,” the thing went blank & the message “reverse captcha” appeared. I truly did try! What a neat idea! I’ll be linking up for this in the weeks to come! Thanks for hosting this Lisa Jo. Although I don’t often participate in the 5 minute friday (I think I wrote once) I have been a faithful reader. Hard to get through this many though! Love this! “…I feel small and lost I will raise my tiny hand and tuck it into His.” Kinda describes how I am most days. And yes, there’s Someone whose hands are way bigger than mine that can intimately and lovingly hold all of me. The linkup was closed and so I guess I won’t be participating today. The link was closed so I thought I would contribute here. 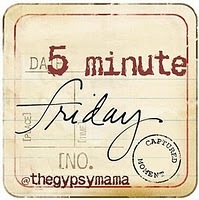 The link would be http://wisdomfromafather.com/2014/02/07/five-minute-friday-bare-2/. I so enjoy the time with my fellow writers. They — and you — inspire me.